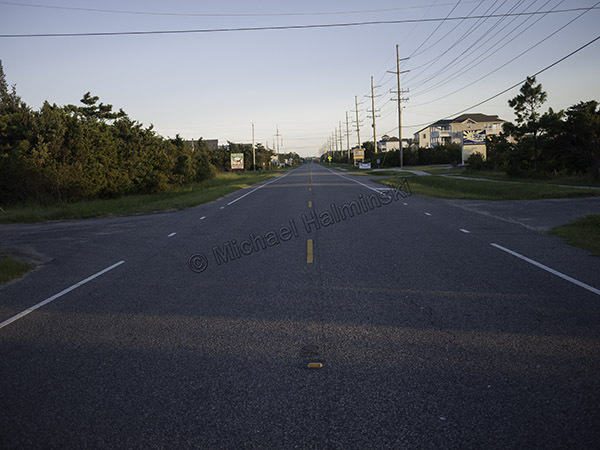 When the bridge to Hatteras Island at Oregon Inlet was opened in 1962, it changed the way people live here. Road access and electricity made life easier for the locals and boosted the economy. The recent power outage reminded me again that we’re living on an island and dependent upon on mainland conveniences. Disruptions in electric service have been commonplace historically, but less common as transmission lines got updated. After years of living here I’ve learned to expect the unexpected. The recent power outage is a good example. It came as a surprise and unlike numerous other events was due to a manmade error. Once the island was evacuated of visitors there was an immediate quietness from the busy peak-summer noises, and streets became eerily deserted. For two days, a portable generator kept our freezer and refrigerator from spoilage and kept some lights on, until the electric co-op could bring in the generators to give us needed relief. Luckily, during the outage we experienced the best weather of the entire summer. Temperatures moderated and humidity was minimal. On a gorgeous evening, I rode my bike down the center of highway 12 without a car in sight. 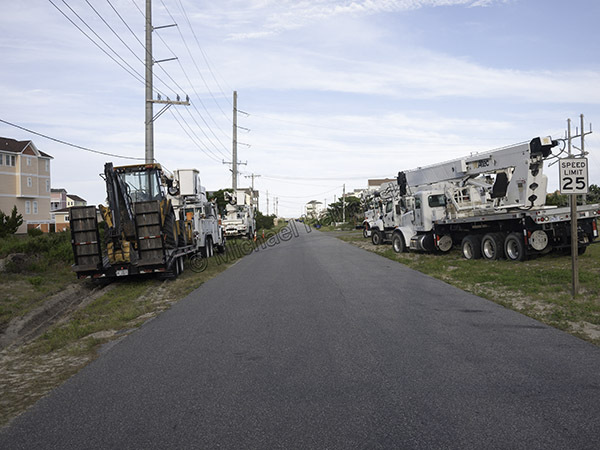 To help in the repair, huge bucket trucks were staged on the road to the Rodanthe Pier. 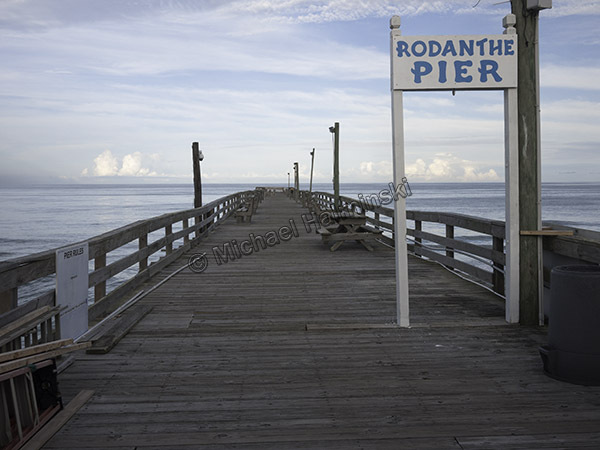 Normally packed with fishermen, the pier was empty. 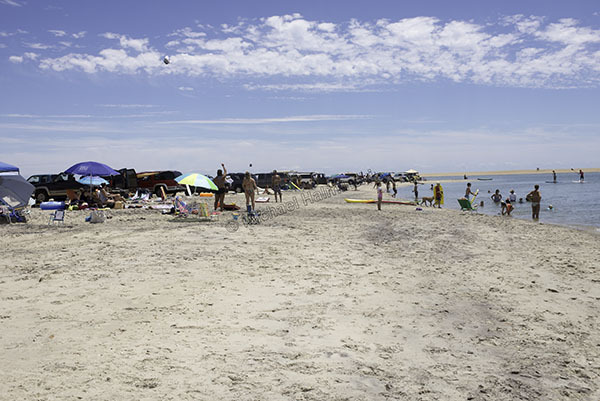 Throughout the Summer we kept hearing about the newly formed island off of Cape Point. This constantly changing location has always been a geographic phenomenon. 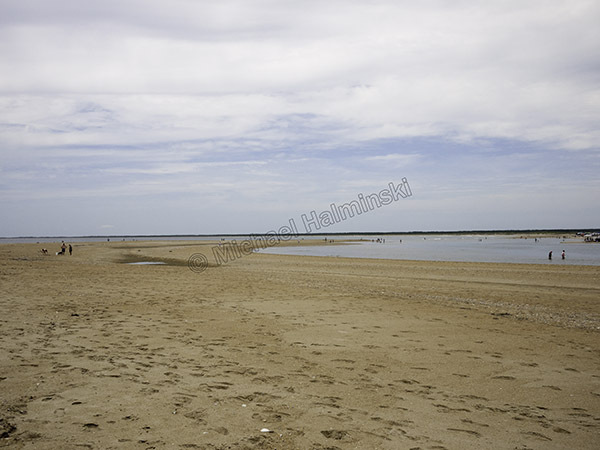 There have been island shoals there before, but I haven’t witnessed one as large as the new Shelly Island. It became wildly popular and made national news. The crowds out there made me want to avoid it. But when the lights went out, and the evacuation order came, I changed my mind. That’s when I decided it was a perfect time to check it out. Upon arrival we could see Shelly Island across the waves in the distance. 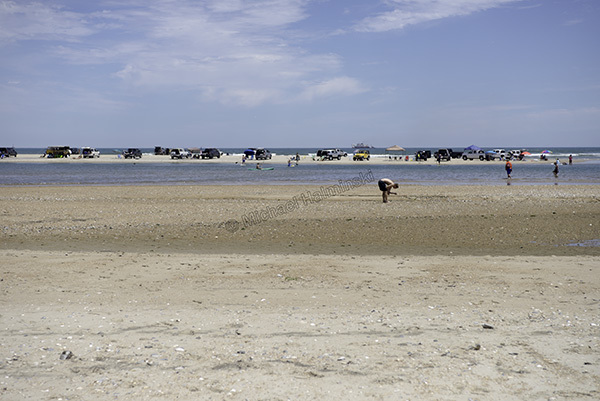 There were a few people out there and perhaps 2 dozen vehicles parked along the Cape Point shoreline. I saw children and adults frolicking in an ultimate water park. Tide pools created big spas and everyone was clearly having a wonderful time. I was taken by a little girl happily playing with a doll. 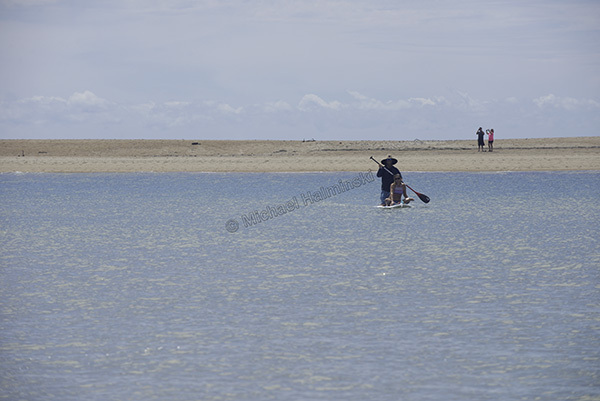 My friends Chris and Chandra were paddling back after exploring the island. 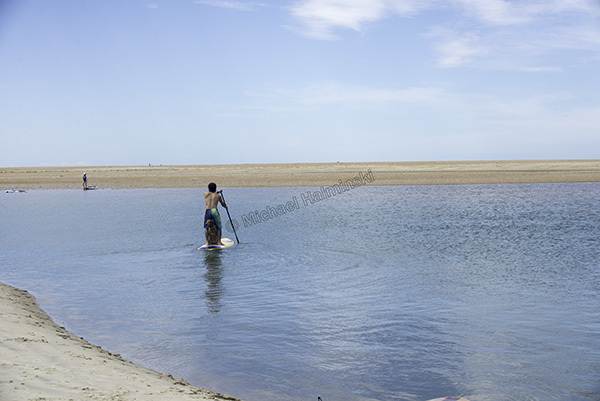 Another paddle boarder was on his way over with his dog behind him. 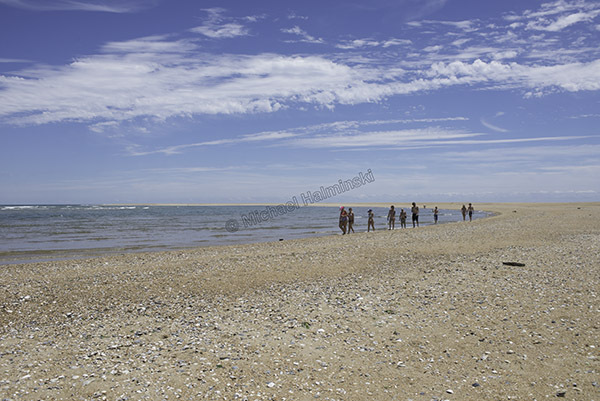 People walked to and from the island on a shallow sandbar. 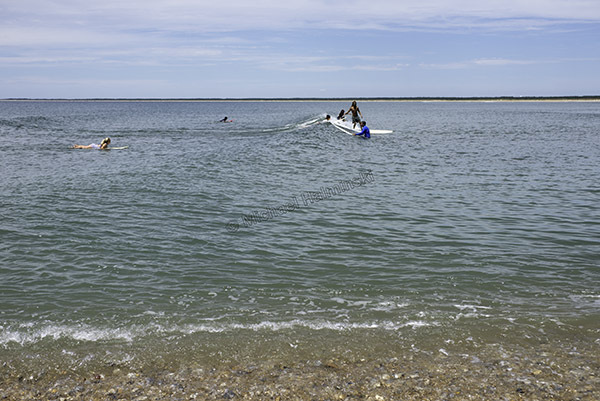 Once I waded to the island, I could understand it’s namesake, as a nice small wave rolled along shore. 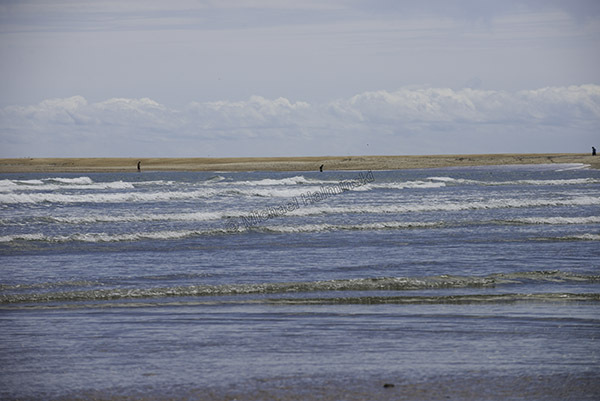 A surfer cruised by on his long board. 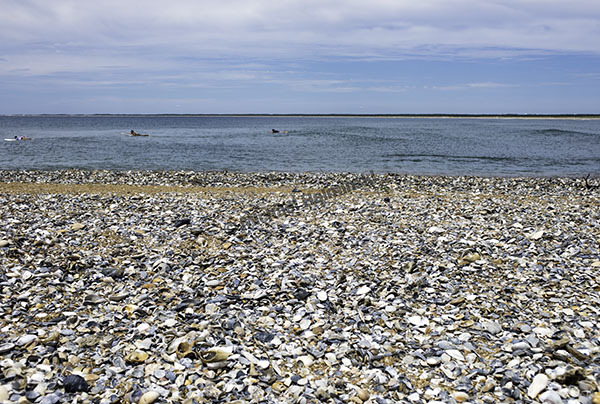 Shelly Island is a shell seeker’s paradise. 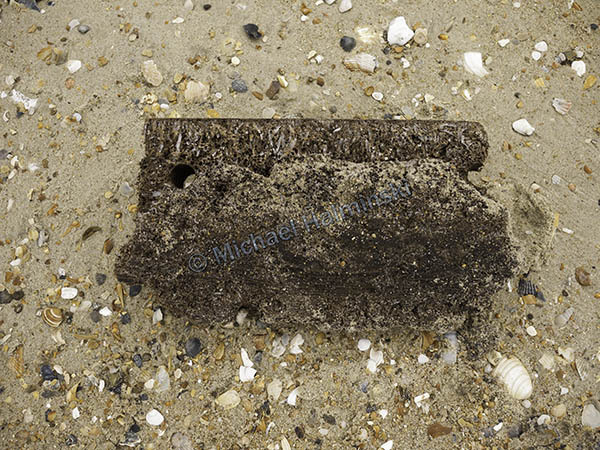 Mike Bigney found and old piece of a shipwreck timber. 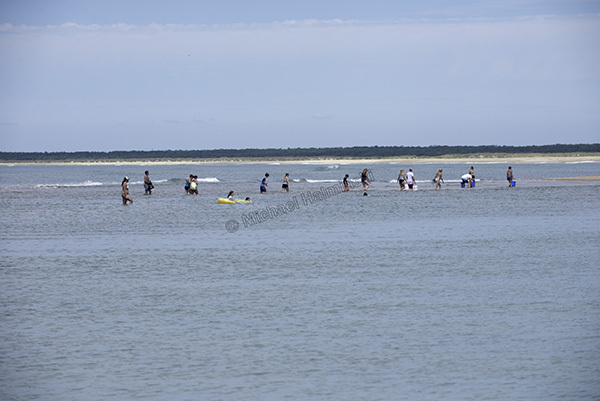 By some estimates, Shelly Island is a mile long. In an unscheduled day off, the whole crew from Lisa’s Pizza was on hand to make a good time of it. At the far end of Shelly is the shoal were north and south swells converge. It’s also been an area of numerous shark sightings. I expect to make more visits to Shelly Island. 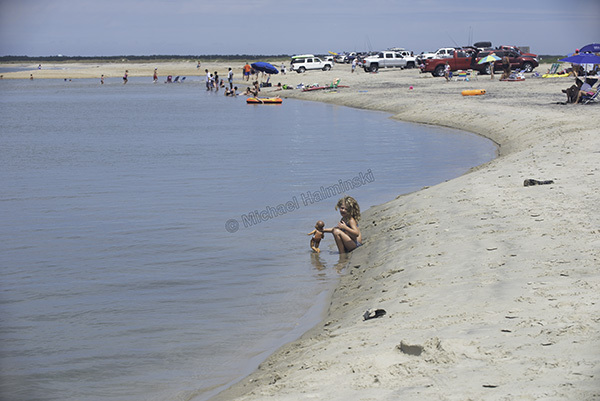 This entry was posted in beach, inlets and sandbars, Outer Banks, Sea on August 26, 2017 by j0jgvm89bj.